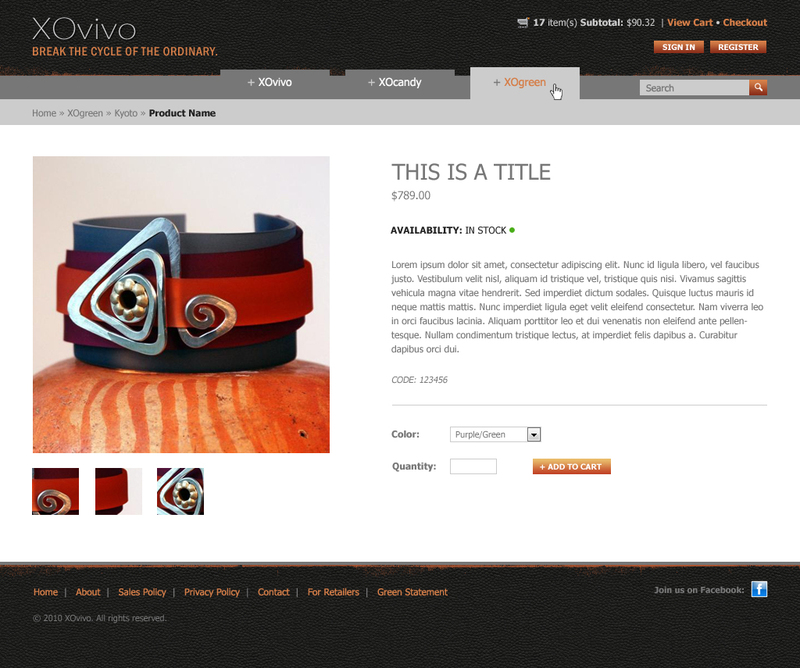 This designer and manufacturer of unique, handcrafted jewelry pieces needed an e-commerce web site capable of accepting retail orders from end customers, as well as wholesale orders from the 400+ retail stores which carry their products. 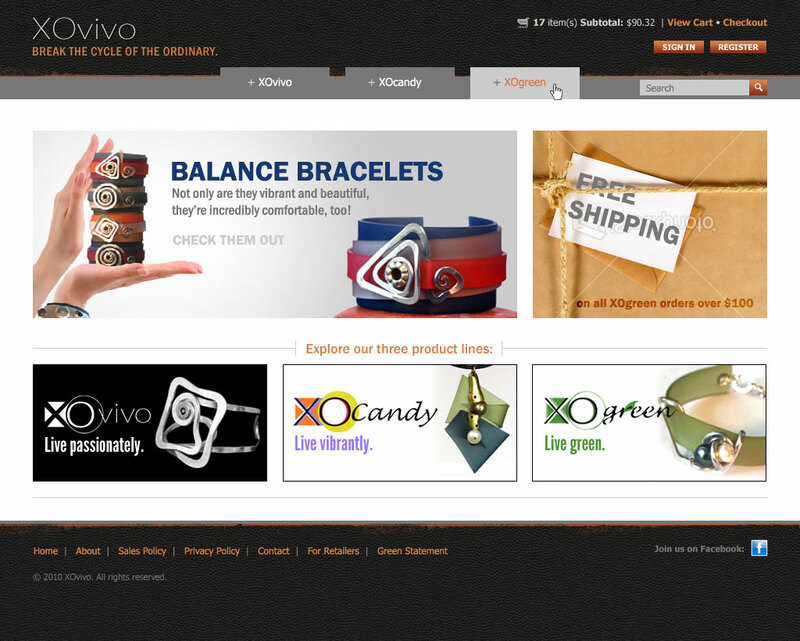 We created a clean, modern design for the site and integrated it into a 3rd party shopping cart system. The site retrieves real-time shipping rates through UPS integration, and clears credit card transactions through an interface with Authorize.net. Further, a custom add-on application developed by Axis 80 allows XOvivo's wholesale customers to earn commission when retail orders are placed through the site by end customers.